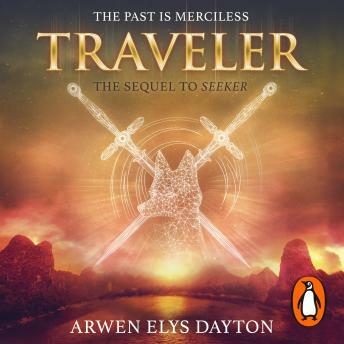 Random House presents the unabridged, downloadable audiobook edition of Traveler by Arwen Elys Dayton, read by Katharine McEwan. Quin has spent her life preparing to becoming a Seeker, and following in her family's footsteps: a path she believed to be honourable and just. But the night she took her Oath, Quin learned the terrible truth about what being a Seeker really means. And now, the boy she once loved is out for vengeance, with her family in his sights. Along with her oldest companion, Shinobu, Quin desperately wants answers. But the deeper Quin and Shinobu dig, the darker things become. There are long-vanished Seeker families, shadowy alliances - and a sinister plan, set in motion generations ago, with the power to destroy them all.